When a lot of people picture an exoskeleton, they might imagine Matt Damon wearing a robotic jumpsuit of sorts in the entertaining but critically panned movie Elysium. 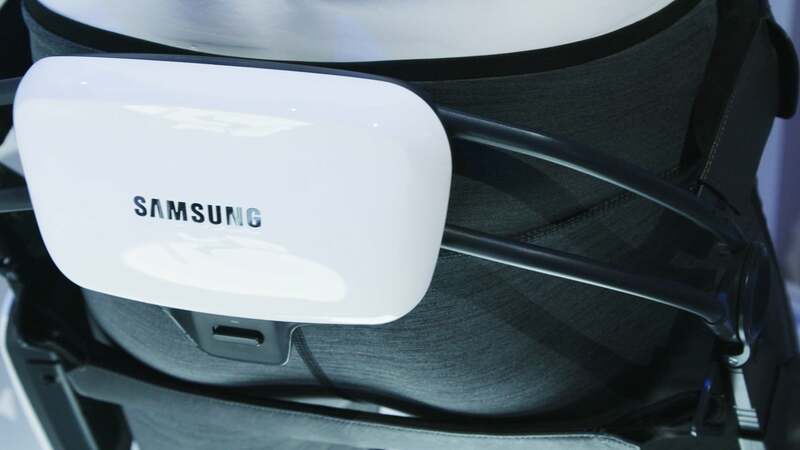 Samsung has a different idea for how this technology might work. At the Consumer Electronics Show (CES) in Las Vegas, the company showed off a line of exoskeleton concepts. They’re sleek, lightweight, and as far I know, do not require screwing anything into your spine. This is a future I can get behind! I wore the exoskeleton, dubbed GEMS-H. The first part of that name stands for Gait Enhancing and Motivating System which is actually a pretty descriptive name for the device. The model I tried is designed to hug your hips and upper thighs like a comfortable pair of trousers, and then a module strapped to each leg helps you walk. Once you strap the thing on, it’s easy to forget that the exoskeleton is even there since it’s so light, and the robotic elements of it are understated. There aren’t buttons or controls. You just walk, and the GEM-H makes walking easier. It feels amazing. When I walked around Samsung’s CES booth, it almost felt like walking air, because the device was subtly lifting my legs with every step. I basically felt lighter, especially when I took the exoskeleton on stairs. This effect would feel even more profound if I had an injury or generally felt fatigued because when you’re wearing the GEM-H robot trousers, you use less energy to move. In addition to the GEMS-H, Samsung also has a larger model called the GEMS-K that hugs your thighs and then extends down below the knee as well. I imagine this one would feel like getting an extra lift under your bum as well as a little kick in the knees. There’s also the GEMS-A which straps on your lower leg and includes a little powered platform for your foot. It’s designed to help you move and lift your foot and reduce tripping. All of these things are concepts. Samsung wouldn’t say if or when it would bring its exoskeletons to market, but I hope it does. A widely available, easy-to-use device like this could absolutely transform countless people’s mobility. If wearing the GEMS-H made it breezy for a 30-something person like me, it could be incredible for someone twice my age. I would also be curious to know if the technology could be used for workers who do repetitive motions, like the exoskeletons that Ford is giving folks on the factory floor. And at the end of the day, the exoskeletons do look badass. It’s not that tattooed and disaffected brand of badass you get from Matt Damon in the respected but ultimately awful thriller Elysium. 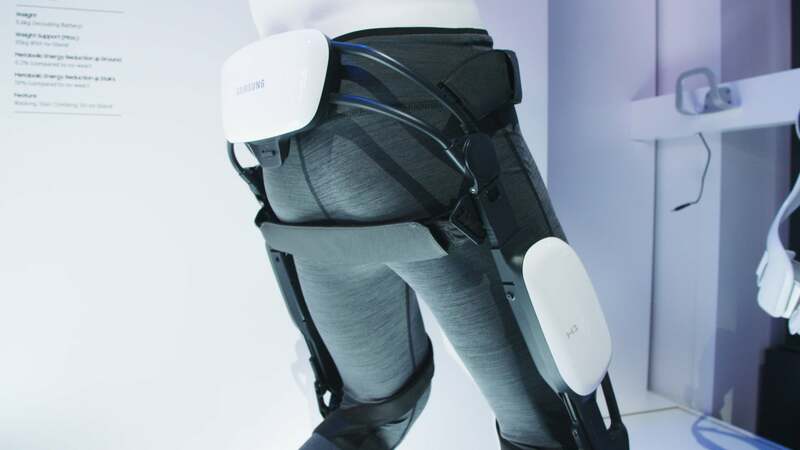 The Samsung exoskeleton almost seems like a fashion accessory with its clean white motors neatly positioned on the sides of your legs and the small of your back. The device is like mechanical cargo pants in a world where cargo pants are cool again. I’d wear one every day if I could.